28 East and associated companies including Vertis Aviation ifuel, Skydragon and 28 East Services are long term clients of Design Inc. Along with branding and advertising, Design Inc has designed and developed aviation websites for these companies over a period of three years. 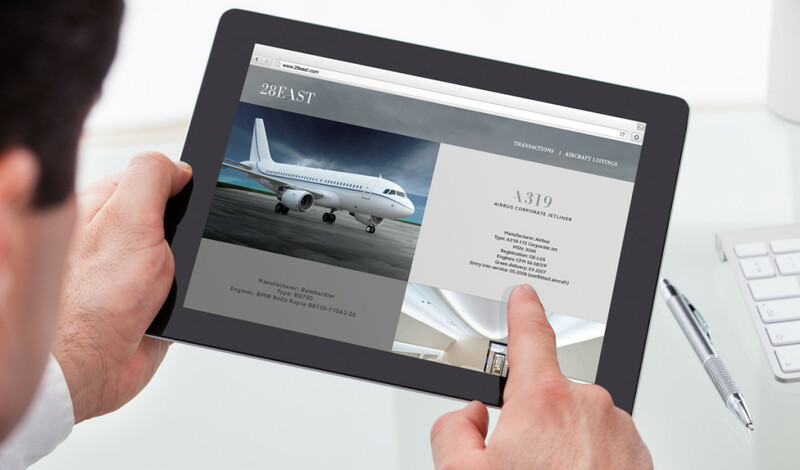 We have recently gone live with the latest of these projects – a new website for 28 East. This is a fully responsive aviation website development with optimised interface design for ‘phone, tablet and desktop formats. The proposition developed for the 28 East site and positioning is based around the concept of focusing on the navigation and guidance provided to clients during the ‘journey to private jet ownership or disposal’. The site features animation and interactive scrolling to provide users with a summary view of 28 East and beyond this there are further levels of information on the methodology and service.